11:00 - 11:40	- Shabaka Amen - "Eat Like You Matter!" Shabaka Amen is Charlotte’s 1st Plant-Based and Vegan personal trainer. He’s been a certified personal trainer and nutrition performance coach for 20 years and is the former owner of Body Of Your Dreams personal training studio and PlantFit Gym from 2006-2017. These were Charlotte’s first plant-based and vegan personal training and fitness facilities. In 2011, Shabaka led co-host Colleen Odegaard and the Charlotte Today staff on a televised “7-Day Vegan Challenge” and Vegan Foods Tour airing as two segments on Charlotte Today. Shabaka is the founder of PlantBased Nation, a plant-based and vegan transformational community. PlantBased Nation provides membership access to online nutrition programs and local team support for those who are overweight and diagnosed with diet-induced chronic diseases! This year marks his 30 year anniversary on a plant-based and vegan diet, and this is his third invitation as a speaker for Charlotte VegFest! 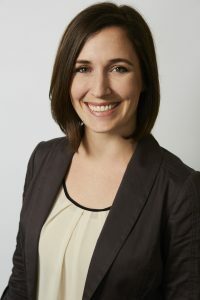 11:40 - 12:20	- Andrea Gunn - "How to Make Big Change for Animals in Our Day-to-Day Lives"
Andrea Gunn is the Executive Vice President for The Humane League, leading strategic initiatives to strengthen programs, sustain growth, and maximize impact for animals. Andrea helped facilitate the Humane League’s growth from 7 to over 70 staff in under 5 years and develops internal systems to support continued expansion. She believes that effective management is the foundation of effective advocacy, and has presented on the subject both nationally and abroad. Andrea has presented on factory farming and veg eating to over 3,000 high school and college students, given talks on effective advocacy, and has been featured on Charlotte Today and FOX News speaking about advocacy and animal welfare issues. The Humane League is ranked as “Best In America” by the Independent Charities of America and has been named “Top Charity” by the charity navigator Animal Charity Evaluators for all of their rating periods, the only group with this distinction. 12:20 - 1:00	- Ronnie Tsunami - "The Plant-Powered Tsunami: How YOU Can Accelerate the Plant-Based Movement"
Ronnie Tsunami, the Change the World Coach, helps leaders and organizations to accelerate the growth of their world-changing movements..tsunami-style! 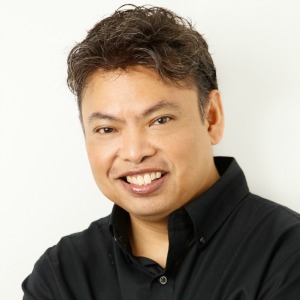 Originally from Honolulu, Hawaii, and a former member of the US Air Force who also served for the Secretary of Defense, Ronnie Tsunami has been called the “MacGyver” of training because of his ability to quickly develop learning solutions that help market and sell new products/services generating millions of dollars in revenue and sponsorships . This has included a variety of products including online courses, coaching programs, books, software, charities, support groups, music, bands, food, and a film. In fact, over the past 25 years, Ronnie’s innovative solutions have been implemented in more than 10,000 academic institutions, companies and enterprise organizations around the world including Microsoft, the US Air Force, Blue Cross/Blue Shield, the Office of the Secretary of Defense (OSD), Time Warner Cable, and PlantPure Nation. In addition, he has helped to build online and local support communities with millions of members in over 400 cities around the world in the fields of information technology, business, and health and wellness. Ronnie recently launched the largest web video summit ever held on the Internet, and he currently speaks around the country to companies and change leaders on how to accelerate change in an organization and society as a whole. For fun, Ronnie is a multi award-winning musician, singer and composer. 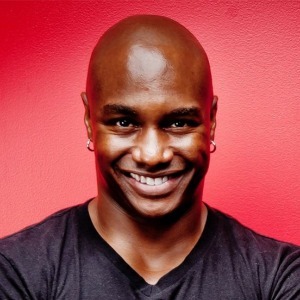 He also is a big advocate of the plant-based lifestyle, earned a Certificate in Plant-Based Nutrition from eCornell University, and is the co-founder of the Plant-Based Society. 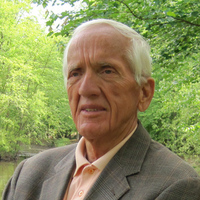 1:00 - 2:00	- Dr. T. Colin Campbell - "Why Nutrition is Missing from the Medical Profession"
T. Colin Campbell, PhD has been dedicated to the science of human health for more than 60 years. His primary focus is on the association between diet and disease, particularly cancer. Although largely known for the China Study–one of the most comprehensive studies of health and nutrition ever conducted, and recognized by The New York Times as the “Grand Prix of epidemiology”–Dr. Campbell’s profound impact also research. Dr. Campbell grew up on a dairy farm and was the first in his family to go to college, where he studied pre-veterinary medicine at Pennsylvania State University. After obtaining his bachelor’s degree, and while completing his first year at the University of Georgia veterinary school, he received a telegram from a well known professor at Cornell University, offering a scholarship and research opportunity too good to turn down. And so he completed his education at Cornell University (M.S., Ph.D.) and MIT (Research Associate) in nutrition, biochemistry and toxicology. He then spent 10 years on the faculty of Virginia Tech’s Department of Biochemistry and Nutrition before returning to Cornell in 1975 where he presently holds his Endowed Chair as the Jacob Gould Schurman Professor Emeritus of Nutritional Biochemistry in the includes extensive involvement in education, public policy, and laboratory Division of Nutritional Sciences. Dr. Campbell’s research experience includes both laboratory experiments and large-scale human studies. He has received over 70 grant-years of peer-reviewed research funding (mostly with NIH), served on grant review panels of multiple funding agencies, actively participated in the development of national and international nutrition policy, and authored over 300 research papers. Throughout his career, he has confronted a great deal of confusion surrounding nutrition and its effects. It is precisely this confusion that he has focused so much on, in recent years. In order to synthesize the findings of his long and rewarding career, and to give back to the public whose lives are threatened by rampant misinformation and special interests, Dr. Campbell co-wrote The China Study: Startling Implications for Diet, Weight Loss and Long-term Health, which has sold more than 2 million copies worldwide. He is also the author of the The New York Times bestseller Whole, and The Low-Carb Fraud. Several documentary films feature Dr. Campbell and his research, including Forks Over Knives, Eating You Alive, Food Matters, and PlantPure Nation. He continues to share evidence-based information on health and nutrition whenever given the opportunity. He has delivered hundreds of lectures around the world and he is the founder of the T. Colin Campbell Center for Nutrition Studies and the online Plant-Based Nutrition Certificate in partnership with eCornell. 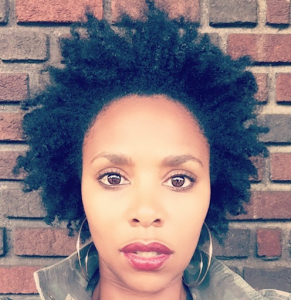 Diyasha Smith – Model, mompreneur, Vegan mother of (soon to be 2 plant based babies) and creator of @WearPBMApparel has been on her personal journey of adopting a healthy lifestyle over the last 4 years. As a child growing up in the south she witnessed how the negative effects of poor eating habits, lack of exercise & unwillingness to change can not only age you but cut your life span down significantly. She watched multiple family members pass away from simply not being proactive about their health and knew that she was going to write a new standard for her life & generation. She has been able to help dozens of people begin to open their minds to the idea of adopting a meat free, thriving lifestyle for not only their body but minds and homes as well through coaching and personal challenges that she has released to her community. Shifting her sole focus from modeling to be able to use her influence to change lives through health and nutrition has been one of her biggest accomplishments thus far and she is excited about the many more lives that she will change! Joanna Gandiza – With a BS in Earth Science and a Masters in Engineering from the University of Pittsburgh, Joanna worked as an earth scientist and engineer for a number of years, but then her first husband died of a heart attack at a young age. At that point she became passionate to try to help others get healthier, and earned a Master’s Degree in Health Promotion from the University of North Carolina at Charlotte as well as numerous health and fitness certifications. She became an author and health consultant, created her own fitness and wellness programs, and also worked as a wellness director for a large corporation. In 2004, as the Director of Membership for a global community organization, she helped to grow the organization from 12 groups representing 12,000 members to 800 groups around the world representing over 2 million members. 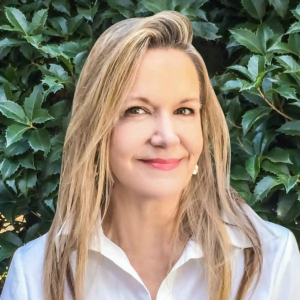 Joanna completed Dr. T. Colin Campbell’s Certificate in Plant-Based Nutrition training program from eCornell and currently serves as the Executive Director of the Plant-Based Society. She is also a certified Zumba senior exercise instructor, certified life and health coach, and a certified SCUBA diver. 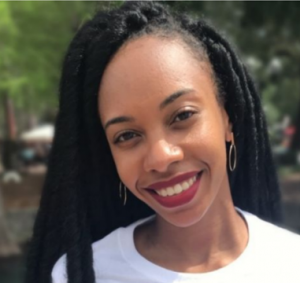 Zakkiya Miller – A New York City transplant by way of Charlotte, NC, Zakkiya Miller is changing the way women of color eat, live and think to ultimately teach them how to live a healthy preventative lifestyle. What started as a 15-day vegan challenge, ended in a complete overhaul of the way she took care of her mind, body and soul. Zakkiya started to share her results on her blog and after an overwhelming response of 16K followers and 33K weekly impressions; she turned her blog into a passion project. Zakkiya received her plant-based certification from eCornell and Dr. T. Colin Campbell of Nutritional Studies in the spring of 2018. Zakkiya educates and encourages her followers to make their transition one meal, one product, and one mantra at a time. 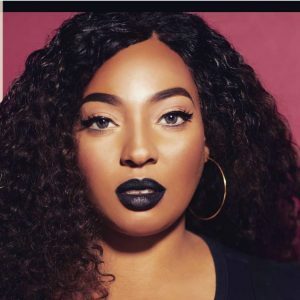 She is a marketing and fundraising consultant who has worked for some of the nation’s top magazines including, In Style and Brides and has raised over 1 million dollars for non-profits. She is a wife and mom of two girls ages 4 and 6, who are also making the slow transition to a plant-based diet. 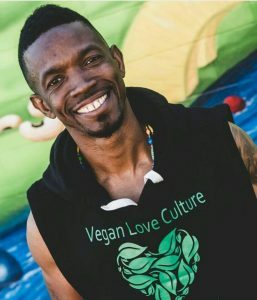 Morathi Howie is CEO and Founder of Vegan Love Culture inc. Morathi is a native of Concord, NC and has been into the vegan lifestyle for 20 years. Vegan Love Culture means going back into the earth for our healing, health and unity amongst the human families. He moved away to Zimbabwe Africa in 2006 where he resided for 11 years and during his stay he helped form a Vegan Company to supply Fry’s Vegan Foods out of South Africa into Zimbabwe to over 30 grocery stores country wide as the Marketing Director. He came back to America to help spread the vegan message and physical fitness under Vegan Love Culture. He has a YouTube show out called Vegan Love Culture Show where he goes out into Charlotte and surrounding areas to different vegan restaurants highlighting the vegan lifestyle and foods for vegans and non vegans to venture out and try. Morathi also provides Superfoods from out of Africa that help regenerate the human body and has been providing to the urban communities for 3 years. Morathi is a father of 2 boys, ages 10 and 8, that have been vegan since birth and teaches them everyday on the importance of maintaining this lifestyle even when they get older. He has been an advocate face for the vegan lifestyle in Urban Communities because he is aware of the health problems plaguing his community. Because of his awareness, he has held 4 Vegan Potluck Events encouraging his community to come out, taste some delicious vegan foods and learn the importance on why they must adopt this way of life. His dedication to compassion for all life forms is his main reason for being in the lifestyle for 2 decades. Protecting the planet, animals and the health of the human families is something that has been mandated to him by his Creator and this is his obligation to humanity. 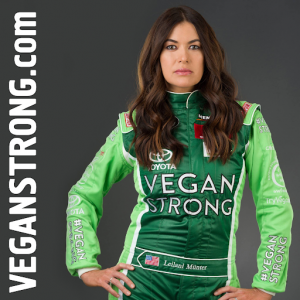 2:40 - 3:20	- Leilani Münter - "Never Underestimate a Vegan Hippie Chick with a Race Car"
Leilani Münter is a biology graduate, race car driver and environmental activist. Discovery’s Planet Green named her the #1 eco athlete in the world, ELLE Magazine awarded her their Genius Award, and Sports Illustrated named her one of the top ten female race car drivers in the world. Since 2007, Leilani has been adopting endangered rainforest to offset the carbon footprint of her race car. So far she has protected over 1500 acres of rainforest. Leilani sits on the board of EARTHx Film, Empowered by Light, and the Oceanic Preservation Society, the Academy Award winning filmmakers behind “The Cove.” She is featured in their 2015 Emmy-nominated documentary “Racing Extinction.” Leilani is also a patron of Population Matters and an ambassador of Ric O’Barry’s Dolphin Project. Leilani is vegan, her personal car is an electric Tesla Model S which she charges with solar power. Leilani’s motto is: never underestimate a vegan hippie chick with a race car. Chef Joya is a sensational new Personal Chef on the Charlotte scene. She has an artist background and she has successfully transitioned her artistic talent and abilities into her chef role. Chef Joya has a passion for educating others about great food and has done numerous demos regionally and in the Midwest. She has a vlog on YouTube entitled “Say What, it’s Vegan” that teaches and demos for viewers amazing vegan cuisine that you would not believe is vegan because it looks and tastes so good. Chef Joya also won first place in the Charlotte and the Triangle area “Best Vegan Mac & Cheez” which has now become her signature dish. Chef Joya restarted her personal vegan journey in May 2018 after challenging others to be “Vegan for 30.” She continues today to teach cooking classes, host private dinner parties, and offer remarkable meal-prepping services. Chef Jamil Ami El established his career identity in the food service industry mid-way through high school and has never looked back. He gained his early experiences working in the Charlotte kitchens of a top hotel, a gourmet grocer, a specialty bakery, a premier country club and more recently, health food grocers. 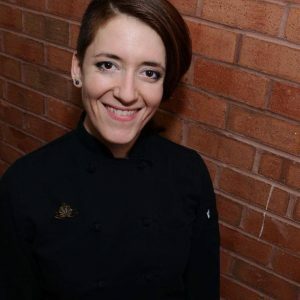 Chef Ami is a longtime resident of Charlotte, graduating in 2002 from the Culinary Institute of America with the AOS degree in baking and pastry arts. 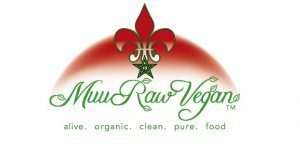 Founder of MuuRaw Vegan, specializing in mostly organic, raw plant-based desserts, meals and juices. From art school to culinary classes at the Natural Gourmet Institute to teaching music production and a tiny passion for skydiving, Chef Julia’s done many things. But in 2012, she co-founded Nourish, the first delivery service of its kind in Charlotte, NC. With the help of her team, she has encouraged a revolution of progressive eaters in our region and continues to push the envelope of what good, nutritious food can be.